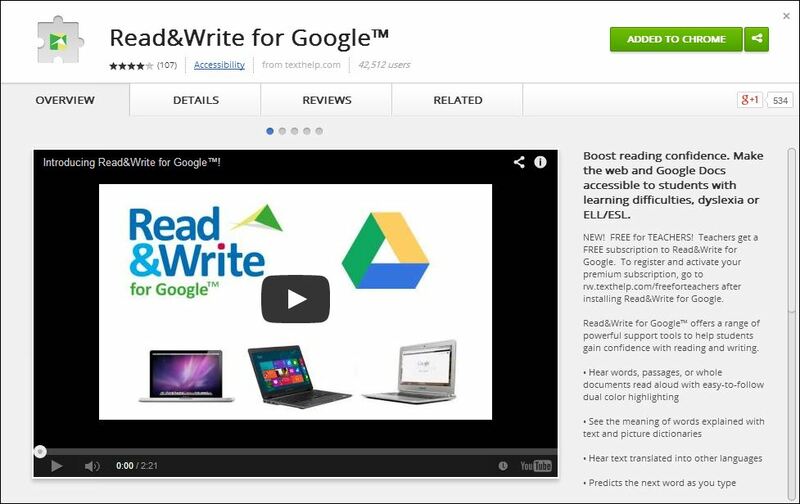 A new update for Read&Write for Google went live today and includes several exciting new features and enhancements. I’ve included the details in this post. The most noticeable change in this update is the addition of premium features to the web toolbar (see image below). In addition to the already available text-to-speech and translation tools on the web, premium users now have access to the same talking dictionary, picture dictionary, and fact finder supports that they have in Google Docs. New settings options have also been added for all users providing additional customisation options such as voice, speed and translation language. 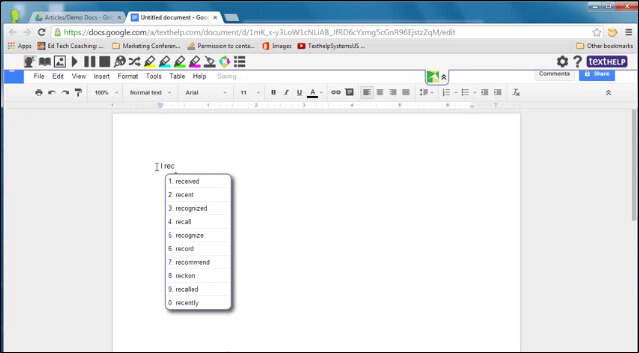 If you have a current trial of Read&Write for Google or if you had a free premium trial that has already expired, the talking and picture dictionary and fact finder supports on both the web toolbar and Google Docs toolbar will now be live for an additional 30 days starting today. If you haven’t yet tried Read&Write for Google, you can download the extension from the Chrome web store and try all of the features free for 30 days. And of course if you are a teacher, you are eligible to receive a free premium subscription of Read&Write for Google simply by registering with us. A much requested enhancement to word prediction in Google Docs has also been added in this update – the ability to use shortcut keys to insert predicted words! To insert a word, simply press ctrl + the number next to the word you would like to insert. Lastly, this update also contains several back-end changes and enhancements for administrators including an option to more easily deploy the extension to a Group of users. 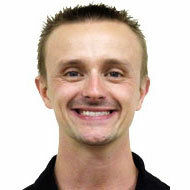 These changes help to pave the way for even more new features and enhancements in the future. Be sure to give these new supports a try and let us know what you think in the comments section below.